Lynn Anne Miller, CEO, brings more than 20 years of experience in corporate marketing to 4GreenPs. She is a recognized social media trailblazer, yet also has a long track record of delivering measurable marketing results for B2B, B2G, B2C and non-profit organizations. At 4GreenPs, Lynn works closely with clients to establish and implement results-driven marketing programs. She develops each client’s marketing program plan, serves as the primary client interface, and assembles virtual specialist teams to best meet each account’s unique needs. Online Marketing Expertise An early adopter of online marketing techniques, Lynn deployed SEO for media relations as early as 1997, a decade before SEO became standard PR industry practice. Lynn was recognized in The Internet Marketing Report for achieving superior B2B e-newsletter metrics. She has appeared in reports about business use of social media in The Washington Post, The Washington Business Journal, and CNN.com, among others. She has spoken about marketing planning and measurement, online and inbound marketing, social media, PR and sustainability issues to the Online Marketing Summit (keynote panel), Sustainable Brands Forum, Public Relations Society of America/IPRA, The Cool Twitter Conference, and on radio programs such as KVMR’s See Jane Do program, among others. Earth and Industry’s List of Top 16 Green Business Women You Must Follow On Twitter. She is also the recipient of Lehigh University’s Alumni Award, the University’s highest alumni honor for professional achievements and service to the university and community. From Venture-Backed B2B Start-Ups to the Fortune 500 Prior to starting her own firm in 2006, Lynn spent 20 years working in B2B sales and marketing for technology start-ups and Fortune 500 companies. Throughout this period, she acquired a reputation for consistently setting new standards of achievement for managing existing initiatives, restructuring underperforming programs, and launching innovative approaches to meet marketing, sales, and communications challenges. As Director of Corporate Marketing for Telogy Networks, she led award-winning public relations, marketing communications and internet marketing programs that positioned Telogy as the technology leader in Voice over IP. The company was subsequently acquired by Texas Instruments for 100x revenue ($700M). 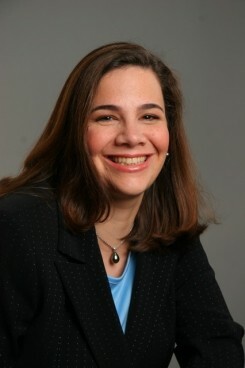 While at TI, Lynn worked as a worldwide media relations manager, managing communications across 16 different worldwide businesses in North America, Asia, Europe, and Japan. Lynn began her career as a newspaper reporter, working for regional papers in New Jersey and Pennsylvania before making a switch to corporate communications as a writer for the CBS Broadcast Group. Education and Public Speaking Lynn recently attended Harvard Business School’s “Marketing Innovative Technologies” executive program. She received an MBA from Georgetown University, an MA (Maitrise) in Political Science from the University of Paris I at the Sorbonne, and a BA from Lehigh University. She also attended the University of Bonn, Germany. Today, Lynn is an in-demand speaker at professional events. A variety of her presentations are available on her Slideshare page, as well as this site’s Speaking Engagements page.